Macronutrients are simply the sources of calories that we can ingest. 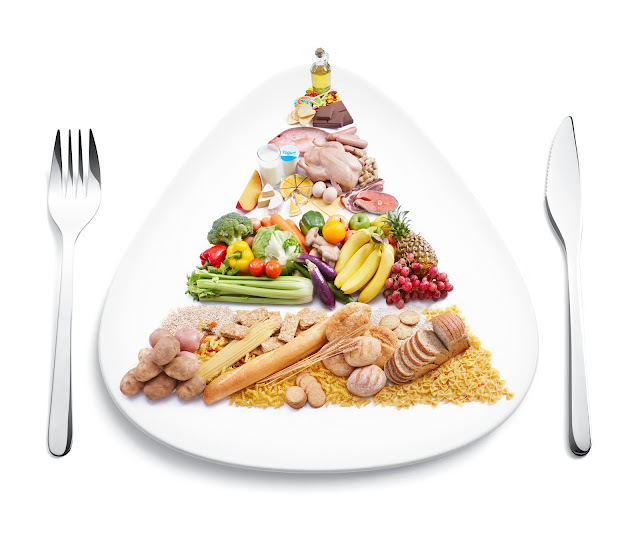 These macronutrients include carbohydrates, proteins, fats, and alcohol. A lot of people think that all calories are the same but nothing could be further from the truth. Each macronutrient is broken down and utilized by the body differently. Getting the best types of each macronutrient and the correct ratio of macronutrients will help you improve your health and fitness level greatly. Carbohydrates are pretty important since they are the main source of energy for your brain and muscles. A diet very low or devoid of carbohydrates may help some people lose a little weight but it will leave a person physically and mentally exhausted. A better and more realistic way is to try and consume more “good carbs” and less junk. Avoid simple sugars from foods such as soda, too much fruit juice, white bread, white rice, cookies, candy, cakes, etc. These simple sugars usually don’t satisfy hunger very well so people keep large amounts of them until they are full. This can be very difficult but you should try to opt for more complex carbs when you can such as whole wheat/grain products, veggies, oatmeal, brown rice, sweet potatoes, Kashi, Total, etc. Subtract the grams of sugar from the grams of total carbohydrates to determine the amount of complex carbohydrates. Complex carbs are excellent sources of fiber as well as other important nutrients and provide long lasting energy. Each gram of carbohydrates provides 4 calories of energy. Fiber does not really provide any calories though because it is not digested significantly by the body and instead simply goes through your digestive system. Proteins, and their amino acid components, are the building blocks of many parts of your body including muscles. Each gram of protein provides 4 calories of energy. Adequate protein intake will help improve muscle recovery, increase metabolism, and increase satiety. Increased muscle recovery and growth will help decrease bodyfat because your muscle tissue is metabolically active and thus burns calories at all times. Foods that are good for this while being low in fat include skim milk, whey/soy/casein protein powder, eggs (especially egg whites), nuts, seeds, chicken, turkey, lean beef, fish (wild Alaskan salmon is the best! ), protein bars, beef jerky, fat free cottage cheese, and fat free yogurt, etc. Protein consumed after a workout involving resistance training may also naturally increase levels of growth hormone and testosterone which can be beneficial to your bodyfat levels and physique. Fats should not be avoided like the plague. They are crucial for energy storage, organ protection, performance in aerobic activities, and satiety. Each gram of fat provides a massive 9 calories of energy. However, you do want to avoid saturated fats (red meat, fried foods, butter, cakes, pastries), especially trans fats which cause even more artery clogs and heart disease than regular saturated fats. Foods sold in the United States are now required to display trans fat content due to a 2006 legislation. Most companies have removed it from their foods or reduced it to such small amounts that they don’t legally have to list it on their labels. In New York and many other cities they have also banned it in restaurants! Unsaturated fats, fat that comes mostly from plant sources and is liquid at room temperature, are fine for you and can actually be beneficial to heart health, cholesterol levels, and normal body maintenance. Omega-3 fatty acids are very beneficial for overall health and cholesterol levels. Good sources of fat include eggs, vegetable oils, nuts, sunflower seeds, natural peanut butter, almond butter, salmon, anchovies, mackerel, and flaxseeds. While alcohol is technically a macronutrient, it should be an extremely small percentage of your caloric intake. Each gram of alcohol provides 7 calories of energy. Unfortunately, alcohol has almost no beneficial nutrient content and has many detrimental side effects on the body. Dark beers do have some beneficial health properties but not at the expense of the alcohol and carbohydrate content in my opinion. Red wine does have some of the highly-touted antioxidant resveratrol but in my opinion it is not worth the damage from the alcohol. It is highly concentrated in resveratrol but it is not conclusive if 1 glass of red wine gives you enough for significant health improvements. You also would be consuming a lot of simple sugars with each glass of wine which is often combined with a slow metabolism late at night. One alcoholic beverage at night is not going to derail your diet. If you drink one every night or drink a larger quantity, you may be cancelling out a lot of the progress you made from other dietary or exercise improvements. Take a look at my Free Recipes page and The Frugal Diet eBook to learn more! How Does Exercise Improve Work Productivity? The Rise Of Veganism: Why Is The Plant-Based Lifestyle So Popular?